The most frugal among us might suggest giving up make up and hair products in order to save money. And all the healthy women in the room said … I’ll let you fill in the blank. It is no secret that a good percentage of women love or at least fully depend on their cosmetics. While it may be fun to watch your favorite beauty vloggers and Style’s best products, the truth is that make up can take up a huge part of our budget. Here are three tips on how to look good without looking poor. All of us have different skin issues and beauty needs, which is why I am not going to suggest buying the cheapest make up you can find. Instead, seek out cosmetics that are high quality and make you look your best. No matter the price or brand, avoid products that make your skin break out. You shouldn’t have to spend more money on fixing your skin. If you choose to use higher end products, try to narrow down your make up needs to a few items. Not only will this save you time in the morning, but it can help keep your make up space clean and organized. If you are really into experimenting with different lip colors or eye shadows, then perhaps stick with more inexpensive brands, since you may only use the product a few times. It doesn’t matter if you buy your foundation at Target or in the Macy’s beauty department, you should return any product that you do not like or are unsure of. 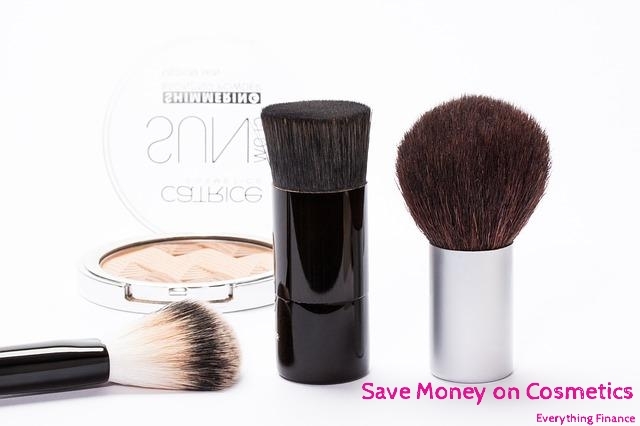 You don’t want to waste money on unused products. There have been several times I have gotten the wrong foundation shade and have returned it easily just from explaining that it was the wrong shade. There was also a time when I had to return a Bare Minerals product to Sephora because it caused my face to break out horribly. Was it embarrassing? Yes, but it was worth it to get my money back. Those are just three simple tips to cutting your make up costs. They may be common sense, but I know many of us, myself included, tend to overlook them. Sometimes it is a pain to take back the ugly $4 lip gloss or to keep our make up routines down to four products, but it can make a big difference in our budgets.